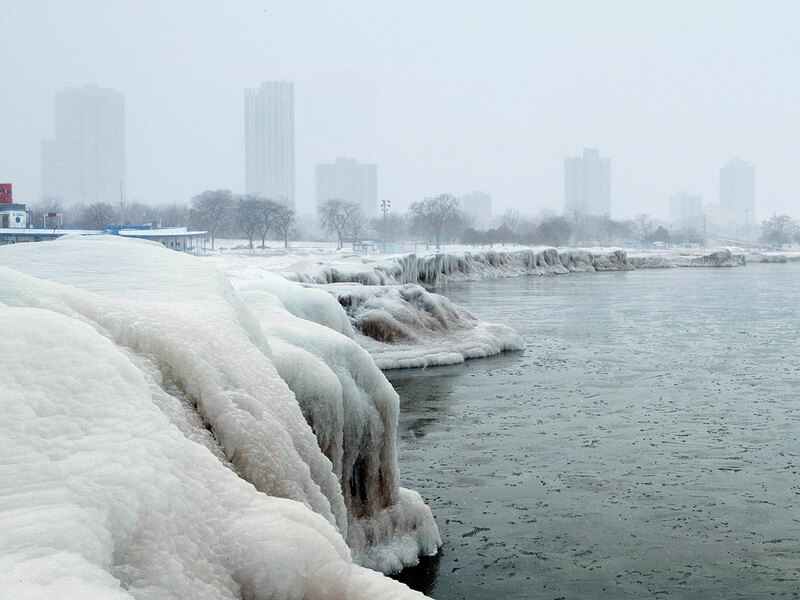 CHICAGO: As temperatures in Midwestern cities plunged to levels colder than parts of Antarctica and officials warned people not to step outside even for a few minutes, Tony Neeley stood on a downtown Chicago street corner Tuesday, wearing wet sneakers and clutching a hand warmer packet in each of his bare hands. He had already been there for hours. “I’m cold and I’m afraid,” Neeley said, adding that he was trying to raise enough money from the bundled commuters rushing past to pay for a $45 (Dh165) motel room on a night that weather forecasters warned would send the Midwest into a deep freeze unlike anything even this region has seen in years. What about the prospect of going to one of the scores of shelters officials in Chicago — and in cities like Minneapolis, Milwaukee and Detroit — had urged homeless people to seek warmth in during the stretch of dangerous and extreme cold? A lot of us don’t go to the shelters because of bedbugs; we don’t go because people steal from you; we don’t go because you can’t even really sleep in the shelter. But my feet are cold, and these clothes are all I’ve got. 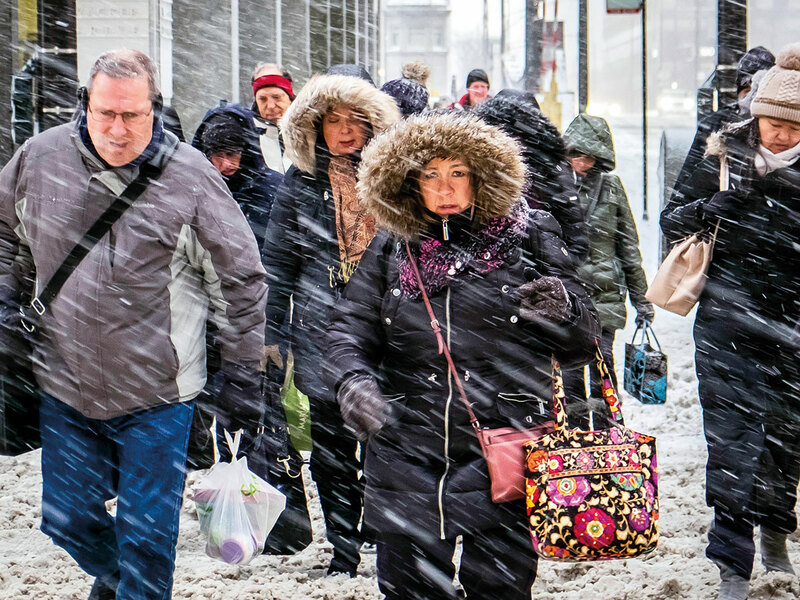 As the polar vortex dumped a vicious mass of arctic weather on the middle of the nation, states such as Michigan and Wisconsin declared emergencies, schools and university classes were cancelled, museums were closed, and many workers were told to stay home. But as health officials issued numerous warnings about the dangers of frostbite and hypothermia, homeless people faced potentially devastating circumstances. 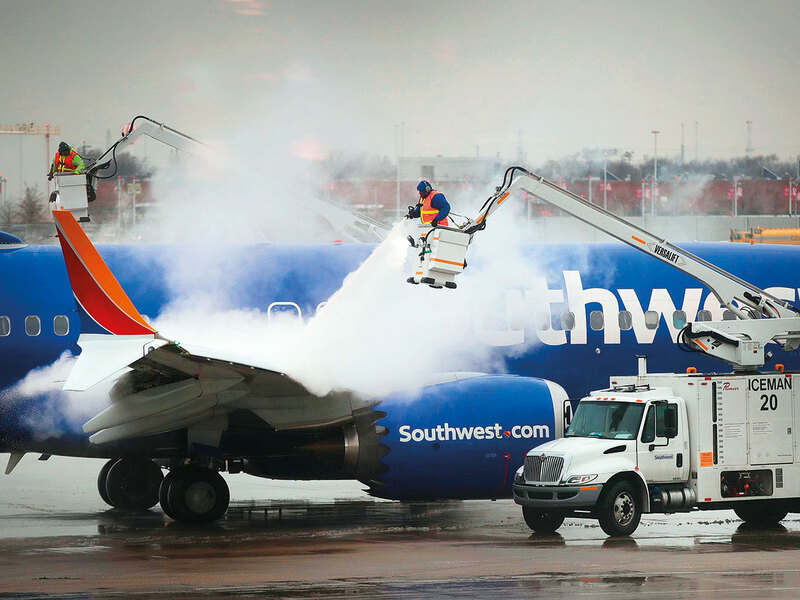 The severity of the threat was expected to be at its worst Wednesday, a day that forecasters said could deliver actual temperatures in the minus double digits and windchill readings as low as 50 or 60 degrees below zero. Wind aside, the high temperature in Chicago was expected to be 15 degrees below zero, the low 26 degrees below zero, according to predictions Tuesday evening. Cold winter temperatures are nothing new for those without homes in the Midwest, and big cities have always had plans to assist the homeless. 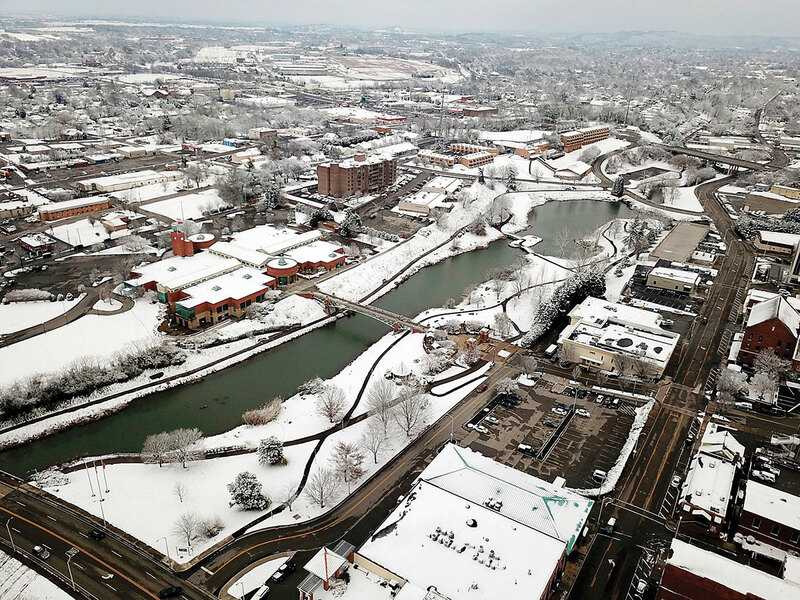 But several Midwestern cities, including Akron, Ohio, and Kalamazoo, Michigan, have had painful reckonings with homeless encampments over the past year. And the searing, face-burning winds that arrived this week, and the numbing, record-breaking temperatures that were soon expected, brought a level of risk for the homeless that has rarely been seen. As residents bustled around Chicago on Tuesday, many of them shopping for last-minute goods before settling in at home for the worst of the weather, several areas where homeless people congregate had emptied, too. Still, a campsite could be seen on Chicago’s Lower Wacker Drive, a road beneath the city’s downtown offices, where someone was sleeping beneath a pile of blankets and beside a pair of shoes. Wearing a sign around his neck that asked for help, a 60-year-old man sat inside the entryway of a drugstore on State Street. He said he had slept outside the night before, and was still unable to warm up hours later. He had no plan yet for the night ahead, he said. 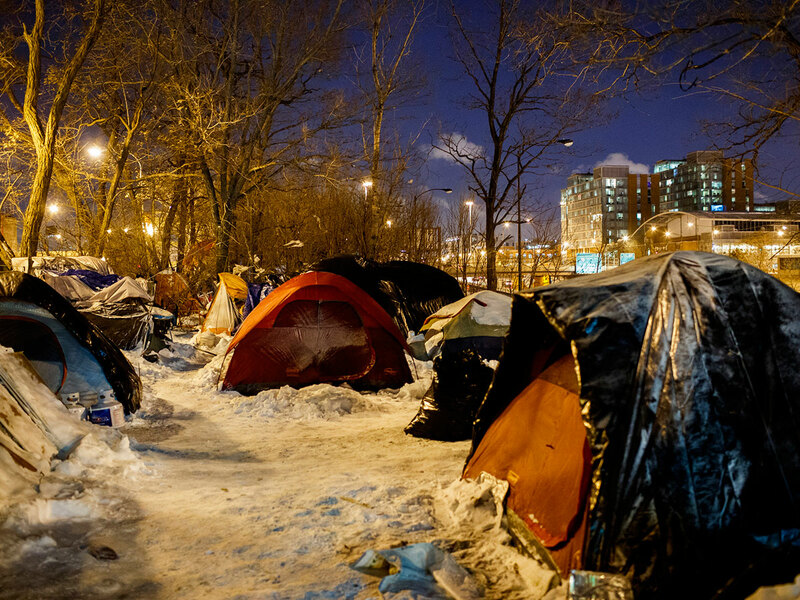 The Chicago Coalition for the Homeless estimates that about 80,000 people are homeless in the Chicago area. Estimates vary widely about the homeless population throughout the Midwest. In Detroit, officials said they were racing to reach out to homeless people and offer places to get warm and transportation. In Cleveland, city and county officials said they were working with shelters and non-profit to find places for the homeless to stay safely. And in Cedar Rapids, Iowa, leaders said they were keeping shelters open during the daytime, and stores were donating snacks and lunches. 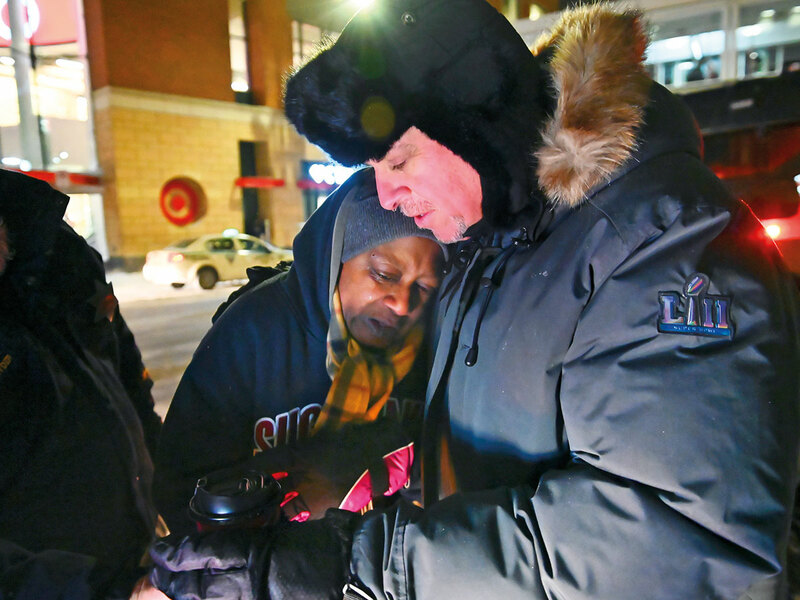 In Milwaukee, where there are about 900 homeless people either in shelters or living on the streets, warming centres have been opened and outreach workers are fanning out around the city, trying to persuade people to come indoors. Chicago officials said scores of warming shelters were open, extra beds had been prepared, and teams of workers had been out overnight all week urging homeless people to take shelter. Libraries, police stations and community centres were being used as warming centres, and city officials were seeking help from ministers to consider opening more spots. 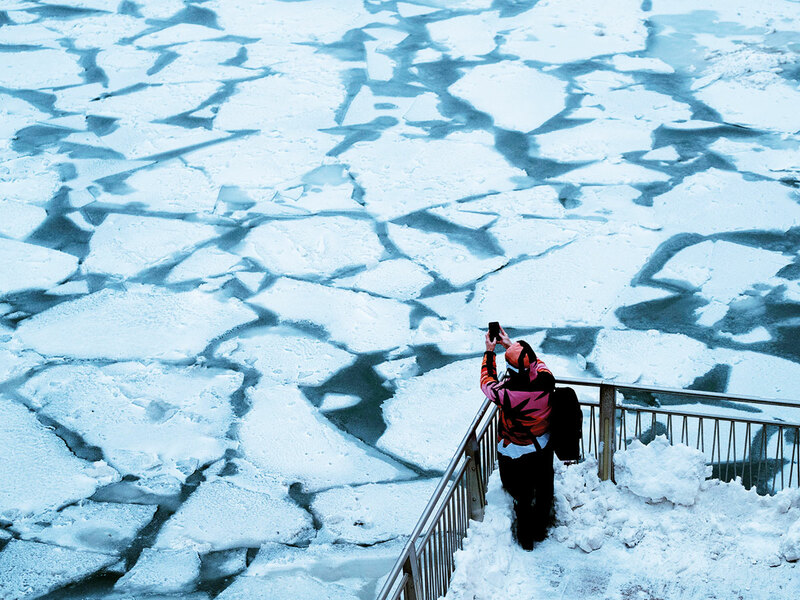 Douglas Schenkelberg, executive director of the Chicago Coalition for the Homeless, said that as the extreme cold began to set in, fewer homeless people appeared to be on the streets. With all the warnings, he said, people were finding emergency housing, staying with friends and family, seeking out a bed at a homeless shelter or visiting an emergency warming Centre provided by the city. The problem, Schenkelberg said, is what happens after the weather gets a little better. 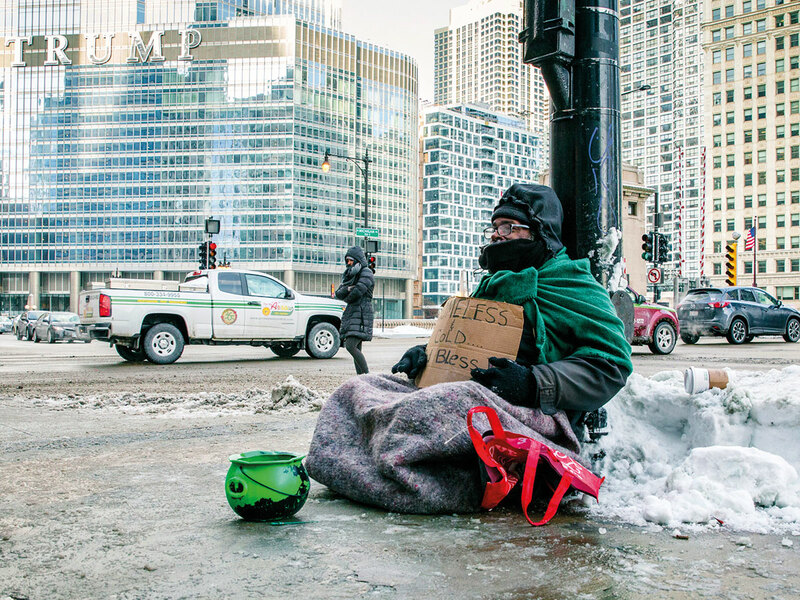 Along Michigan Avenue on Tuesday, not far from a stretch of glimmering retail stores known as Chicago’s Magnificent Mile, a man sat cross-legged on the ground under a grey blanket, a green bowl for loose change in front of him. A passing office worker, covered in down clothing and shielded under a scarf, looked over, horrified: “You should not be out,” she told him, promising to return from her office with some assistance. A passing motorist also stopped, pulled over and handed a dollar bill from his window, noting that it was far too cold to even be sitting there.